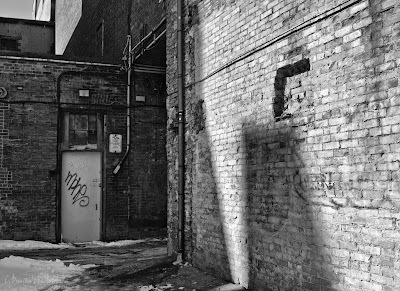 ...Photographic Ramblings...: I Feel Gritty ~ Mono Monday! I love b/w photography. And really would love to get into b/w film photography! I also love street photography, but don't get a chance to practice, living out in the burbs. I did find this pic I snapped Mar 2010. The light was so nice and I was lucky to be walking past as these kids were practicing on their skateboards. Thanks for dropping me a line! Such a cool shot Ardean! Great rim light on the skater. Love it... I hope my readers will look it up too. 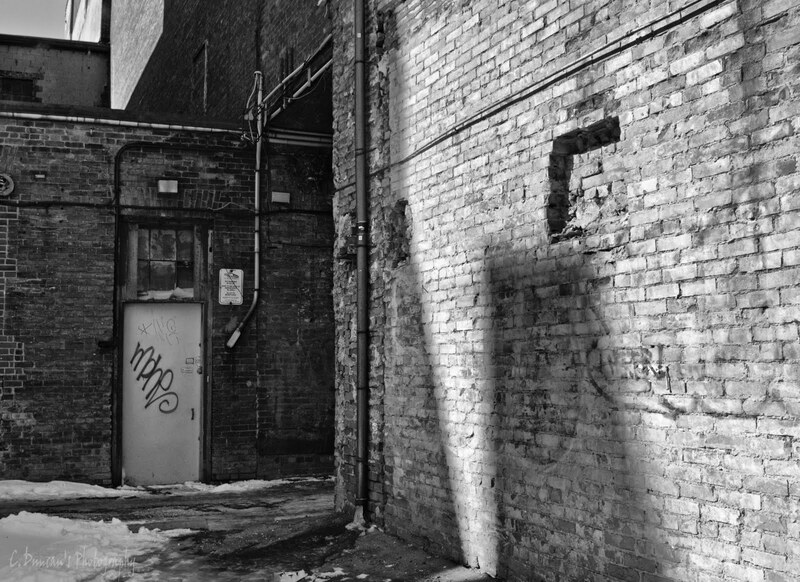 Love these type of gritty shots. I have one of an ally way I shot about a year ago that I really like. I will send it to you. I have been following Nikki Sixx of the hard rock group Motley Crue and his blog on tumblr. He is also a photographer. His images are dark and gritty, and some even disturbing. However there is something that keeps drawing me back to them. I think this is something I want to explore in my photography that I really haven't in the past. Gosh it's funny... but these ARE the shots that get the most comments and emails, lol. I agree Dave, there's something about those types of photographs that have a pull, that speak to us maybe more honestly than the pretty or fantastical photographs. I'll have to check out that blog... and yes, leave us a link to that image!!! Here is the link to the photo I was telling you about. I was just walking around town looking for some interesting stuff to shoot while my daughter was in dance class.